FIU has been recruiting Donovan hard since at least the summer. Donovan is a fantastic player and reminds me of current FIU LB, Anthony Wint. Donovan is a tremendous asset to this football program. Hope we can keep him then... We need to recruit hard for next season. This kid is a huge get for us, we will need all the help we can get at LB next season, although we should be at least solid with Sage Lewis and Brandon James. Hope he sticks. It only counts when I see him on the field. Anyone can decommit. Again, I truly hope he sticks, he sounds like a great pick up. Go Panthers!!! Sounds like he will be on campus tomorrow. I've heard a couple of other prospects are taking their official visits tomorrow too. Dwayne Boyles, a 6'3/225 LB committed to USF from Miami Central HS will officially visit FIU this weekend, according to a report by Scout.com. While he states he is "100% committed to USF", he is supposed to visit FIU and state that "FIU is a school that really wants me," Boyles said. "Also, I will start as a true freshman. The coaches are cool, too." He has already visited Colorado State and is reportedly wanting to visit Kentucky, besides USF as well. 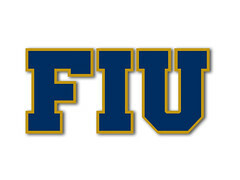 Let's see if we start flipping some of these USF and other's commitments to FIU...their local school.